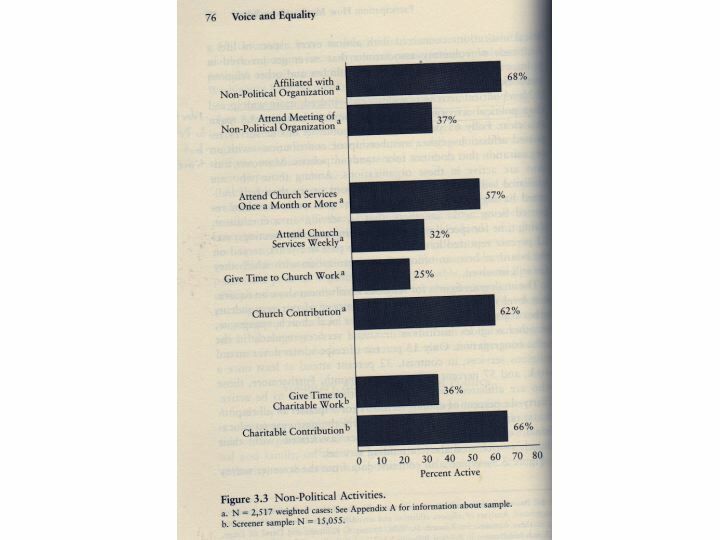 I just scanned a few charts from Voice and Equality . 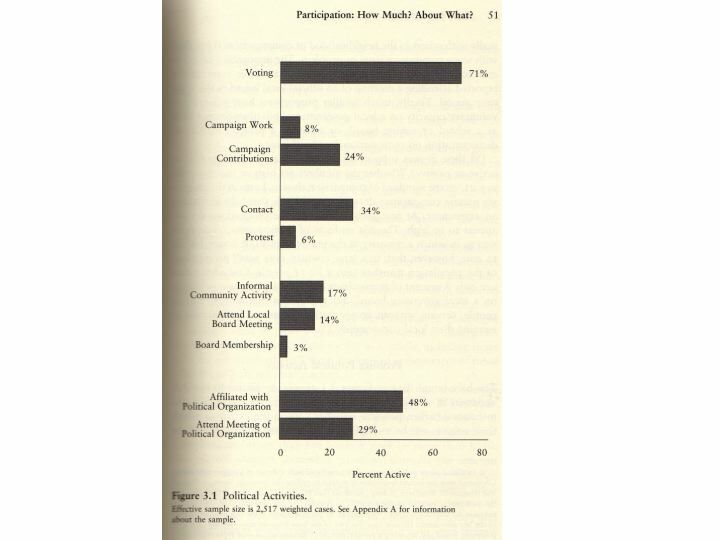 Here are their results for participation rates in the US. The authors tell us in a footnote that the rates are off, because of survey bias. The real voting rates are around 50%, while 71% of the respondents said they voted. The authors weren't sure if all the numbers were inflated or just the voting rates. There may be less social pressure to lie about attending a protest than voting. 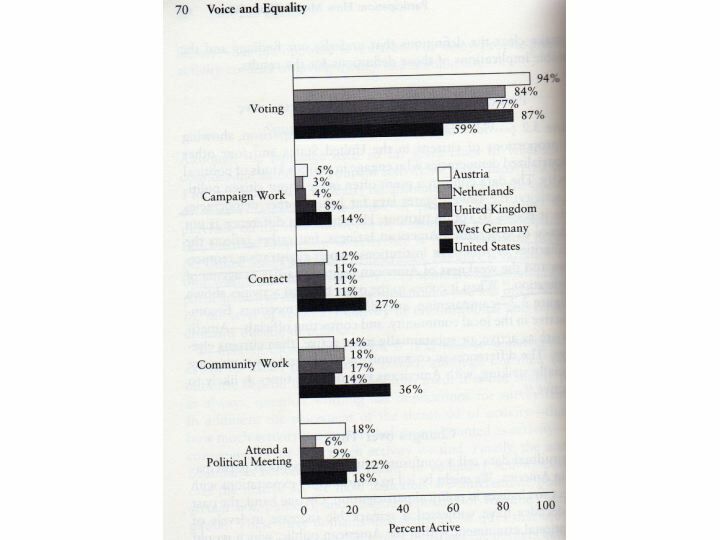 Even though voting levels in the US are lower than other Western democracies, Americans participate at high levels in other ways. 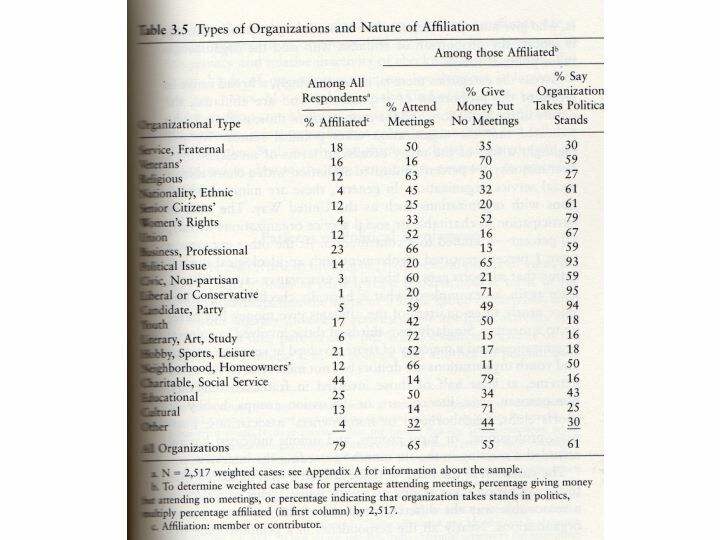 Despite research by other political scientists, like Robert Putnam, these authors find that Americans are very involved in non-political activities. They are more involved in these activities than Europeans. Surprisingly, Northern Ireland comes in second. Perhaps these levels have dropped over time as Putnam claims, but the authors don't have information over time to fully test that theory. Involvement in voluntary associations is very important, because these churches and clubs are training grounds for civic activities. I would have liked to see even a passing reference to deTocqueville here. < Previous A Holiday Treasure!